This collection of stylish pots and beautiful blooms will add a breath of fresh air to any room. 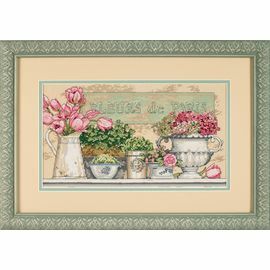 Create this wonderful still life with cotton thread on 14 count beige Aida. Half Cross Stitch is used to add depth and subtle shading. 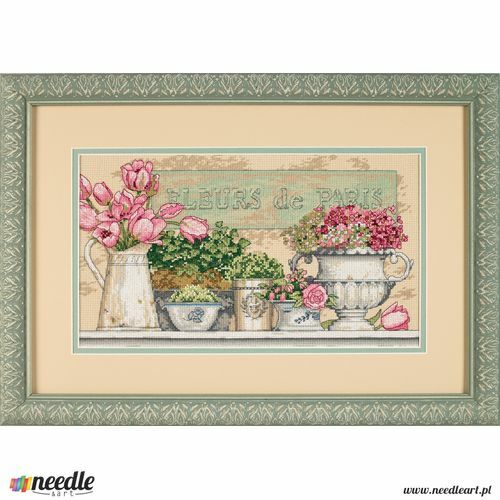 Kit contains cotton thread, 14 count beige Aida, thread palette, needle, and easy instructions.